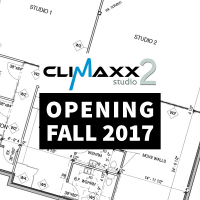 With a tentative opening date of November 2017, Climaxx Studio 2 will open two doors down from our original location. 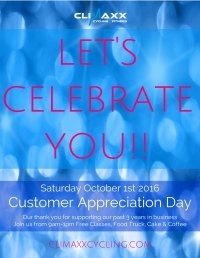 We are turning 2 and we want to celebrate you!! Join our Climaxx Cycling & Fitness team for the Big Bike Ride, Monday June 13th 2016 at Kelseys in support of the Heart & Stroke Foundation. Our Hot Summer Promo is back to keep you fit all summer long. 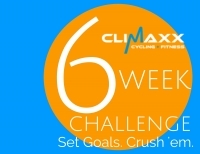 Experience 50 Days of Unlimited Classes at Climaxx Cycling & Fitness for $150. 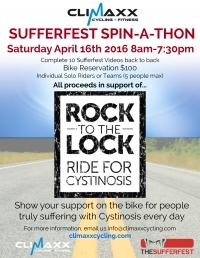 Sufferfest Spin-A-Thon in support of Dan Giancola & Rock to the Lock Ride For Cystinosis happening Saturday April 16th 2016 at Climaxx Cycling & Fitness. Its getting even hotter this summer at Climaxx Cycling & Fitness with our hot summer savings! 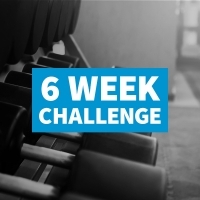 50 Days of Unlimited Classes for $150 (hst incl.)! Join us at Climaxx Cycling & Fitness Sunday March 29, 2015 for The Sufferfest Charity Ride. Suffer through 10 Sufferfest videos back to back in support of ONEFoundation Benefitting Mental Health Across Niagara for those truly suffering. Mental illness affects 1 in 5 Canadians.